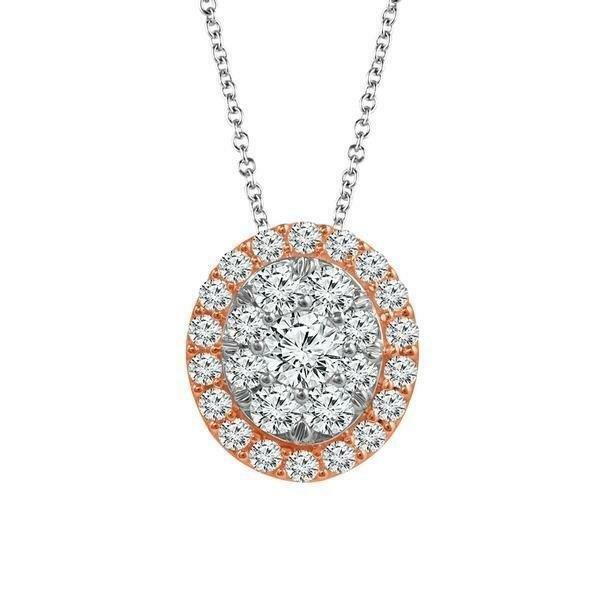 This diamond pendant is available in 10K rg+wg gold. The diamonds have a total carat weight of 0.40 carats. If you need other metal types, please contact us. Note: Prices and availability are subject to change without notice. All weights are approximate. We are not responsible for typographical errors. All special orders (except stock size 7) will take approximately 4 weeks. Other ring sizes above size 7 will incur additional charges. Copyright © 2019 IDD. All Rights Reserved. IDD and all respective logos are trademarks of IDD.